The son of Swedish vaudeville performers, Callen Radcliffe Tjader, Jr. [a.k.a. Cal Tjader] (July 16, 1925–May 5, 1982) was a Latin jazz musician, though he also explored various other jazz idioms. Unlike other American jazz musicians who experimented with the music from Cuba, the Caribbean, and Latin America, he never abandoned it, performing it until his death. Cal Tjader's mother was a concert pianist, his father a vaudeville performer. He grew up with them on the road, tap-dancing his way through early childhood. Later, the family settled down in San Mateo on the San Francisco Peninsula, and his father opened a dancing school. After high school and a stint in the Navy, Cal ended up at San Francisco State College, where he first met up with Dave Brubeck and Paul Desmond. With Dave Brubeck, Tjader hit the big time and he liked it. The years between 1949 and 1951 were spent with Brubeck. Then, after a short stint as leader of his own group, Cal joined George Shearing's quintet as featured vibraphonist and percussionist. While with Shearing Cal made frequent trips to New York and began listening to the Latin New York bands of Tito Puente and Machito. When Tjader left Shearing, he formed his own group again and began to record prolifically for Fantasy. 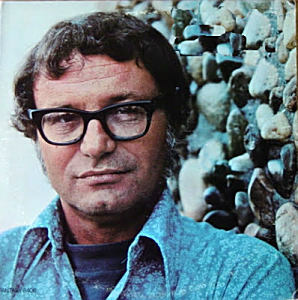 Between 1954 and 1962, Tjader cut a series of over 20 albums for Fantasy. The list of people who recorded with him during that time is truly impressive. Some are Eddie Palmieri (on whom he had a major influence), Vince Guaraldi, Mongo Santamaria, Willie Bobo, Stan Getz, Al McKibbon, Armando Peraza, (Latin percussionist) Johnnie Rae, and (saxophonist) Paul Horn. Many of those albums are still in the Fantasy catalog. He then signed on with Verve in 1963, and continued on a roll. Tjader's biggest-selling record was "Soul Sauce". Cal recalls, "I recorded that for MGM/ Verve in 1964. And it’s very strange, in a way, because I first started playing that tune in San Francisco clubs ten years earlier, in 1954. Then ten years later, it's a hit in New York. You tell me! Willie Bobo played jawbone on that one, and Al McKibbon played congas. It was originally called 'Guachi Guara' but we knew that name wouldn't make it, so we just called it Soul Sauce." Tjader re-signed with Fantasy Records in 1970. Some of his varied recordings for Fantasy include a collaborative effort with Charlie Byrd "Tambu (1973)", and an exciting live performance "Puttin' It Together (1975)". His much-acclaimed "Amazonas (1975)", was produced by Airto, with arrangements from keyboard wizard George Duke. Tjader also teamed with the percussionist Poncho Sanchez in the 1970s, who went on to have his own successful career in Latin jazz. Sanchez has called Tjader his "musical father", both for his musicianship and his professionalism. Cal Tjader in a performance of "Manha de Carnaval"
Tjader signed with Concord Picante in 1979, and his first album for them "La Onda Va Bien", won a Grammy award in 1979. Concord released "The Best of the Concord Years, 1979- 1982", in 2004, as a compilation of his last recordings. Just as lifelong performer Tjader was born on tour, he also died on tour. On the road with his band in Manila, he collapsed from a heart attack and died on 5 May 1982. Cal Tjader was undoubtedly the most famous non-Latino leader of Latin jazz bands, an extraordinary distinction. Although he was often slammed by jazz critics for pandering to popular tastes, he was well-respected among Latin musicians and many of the greats played with him over the years, including Candido, Armando Peraza, Eddie Palmieri, and Tito Puente. From the 1950s until his death, he was practically the point man between the worlds of Latin jazz and mainstream bop; his light, rhythmic, joyous vibraphone manner could comfortably embrace both styles.